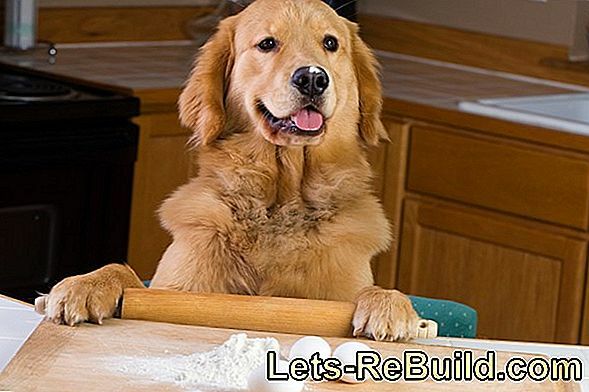 Do you remember your first home improvement attempts? 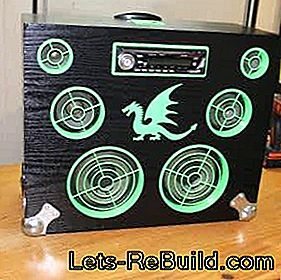 Who has not the speakers are collected from old radios and TVs, to lure them a little bass in wooden boxes made of wood? But most of the hobby loses itself with the first purchase of a "real" music system. Unfortunately! Even today, it is still difficult to dispose of the cheap music system from the garden... if only the lousy sound were not. In almost all cases, however, this is only due to speakers made of plastic. These rattle, rattle and are not able to conjure even a little bass. However, if you put the speakers in a wooden case, the difference is phenomenal. If we look around in the workshop, there are certainly still old speakers to find and with a bit of luck even a car radio. 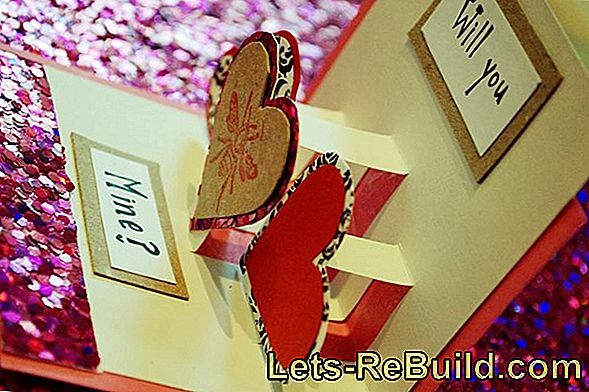 The combination is easy build a portable party box, with which you not only delight your guests at the next garden party. Much of the material requirements for self-construction of the loudspeaker box can be safely covered by old stocks or replacement solutions. Fan grids may be around old power supplies and old speaker covers are suitable. The power supply should be tried a littlebecause not everyone is sufficiently suppressed and can cause humming noises. The power consumption of the car radio can be very different. 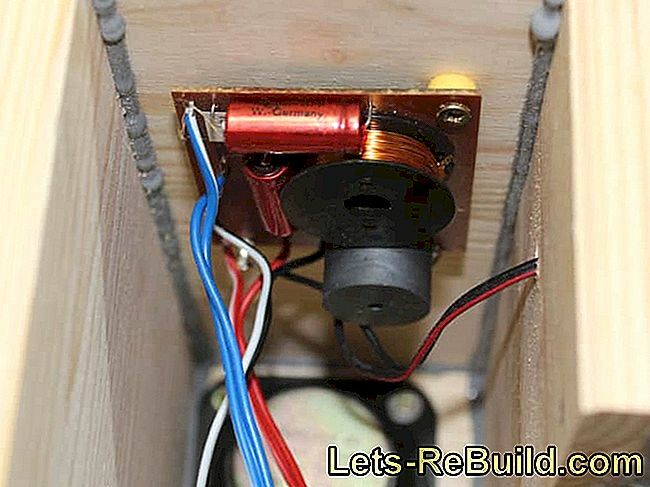 In our speaker box was a power supply with 15 V and 1.6 A is sufficient. For a full load (very loud), however, more power is needed. 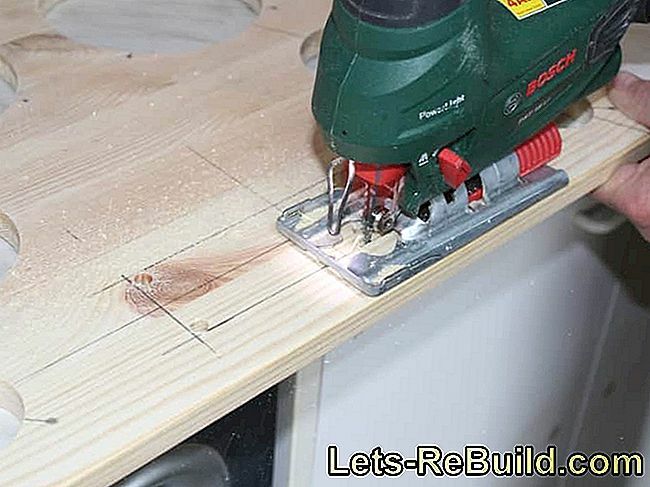 Table saw - Since all the boards used the original width of 20 cm or 40 cm, the cut can also be made in the hardware store. With some attempts the required size is determined. 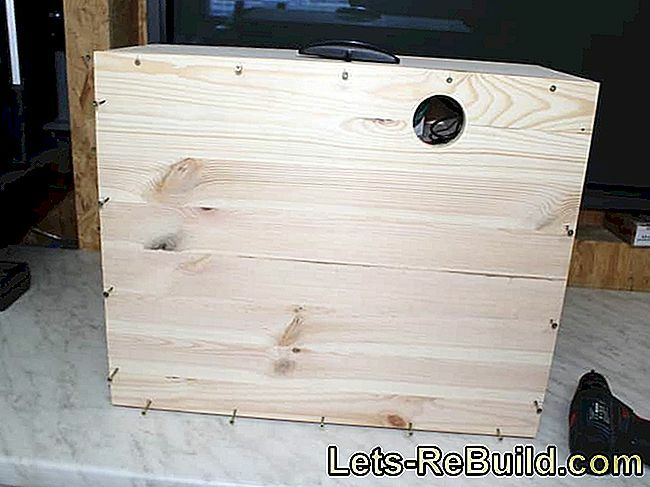 Decisive for the self-construction of a loudspeaker box are of course the existing speakers. 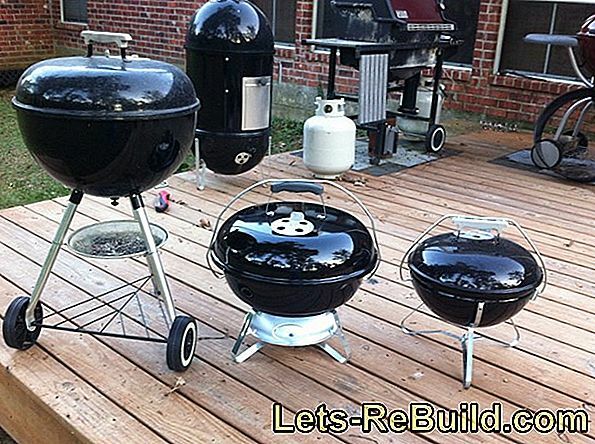 The construction manual therefore refers less to exact dimensions and more to the procedure. 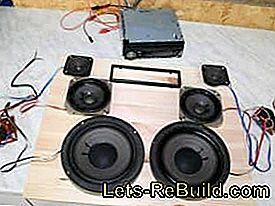 The first step is therefore to try how the existing speakers and the car radio can be optimally arranged and how big the front of the self-built loudspeaker box has to be. The example uses a 3-way system with bass, midrange and tweeter speakers. There is also a car radio with DIN installation dimensions. 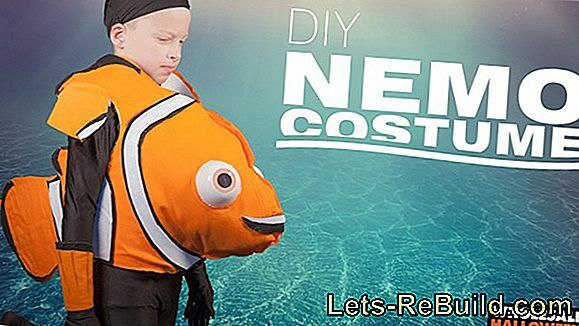 This requires an area of ​​40 x 50 cm. 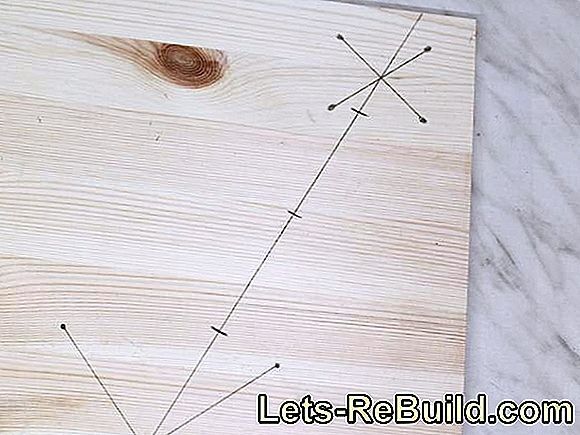 It makes sense to stick to standard sizes of glued-wood panels, which are available in widths of 20, 25, 30 and 40 cm. The tweeters and woofers are proportionately aligned. When aligning the speakers it is important that the tweeters are at the top and as far apart as possible sit. The reason for this are the sound waves. High notes are delivered very straightforward and the speakers should therefore point in the direction of the listener. In addition, the high and middle notes form the stereo sound, so the speakers are arranged left and right. On the other hand, low notes tend to "roll" over the floor and can not be located. Where the woofers sit, so plays hardly a role. So set up the tweeters as far as possible at the very edge out. The same distance outwards and upwards creates a uniform picture. Note, however, that there must still be room for the housing all around. The woofers can as deep as possible and centered. Again, there must be room for a board thickness of 18 mm between the speakers. Are the four speakers exactly aligned, mark the holes with a pencil. These markings are not the later mounting holes, they are only for finding the midpoints. 1. 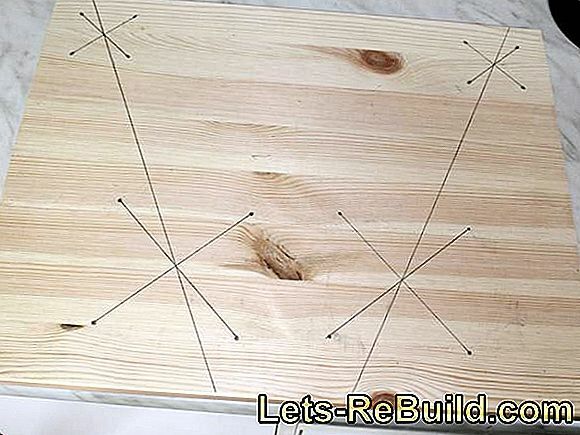 To do this, connect the markers so that a cross is formed. The intersection is the center of the speaker and important. 2. To align the center speakers, draw a line through the detected midpoints of the woofers and woofers. 3. 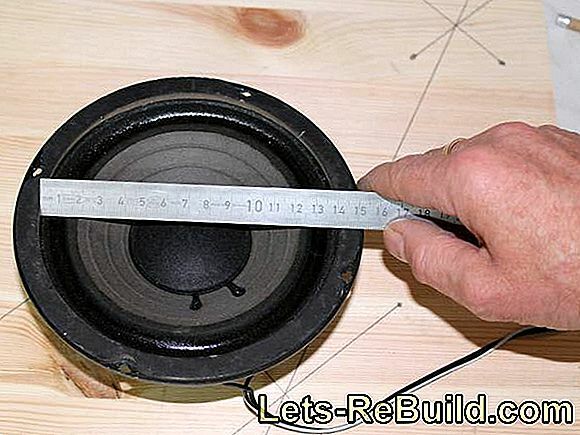 Now measure the diameter of the cone of the woofers and woofers - the measure that later forms the cutout of the loudspeakers. Halve the measured value to find the radius. 4. Draw the radii of the treble and woofers from the center of the crosses to the diagonals shown. 5. The midpoint between the two marks gives the later place of the midrange. Mark this clearly. The distance between all three speakers is exactly the same later. 6. So that the car radio fits in symmetrically, draw a line through the midpoints of the tweeter and mark the center as a vertical line. The required section is now marked from the center line. Measure the height and width of the radio, halve the value and draw it from the center line up and down or to the left and right. 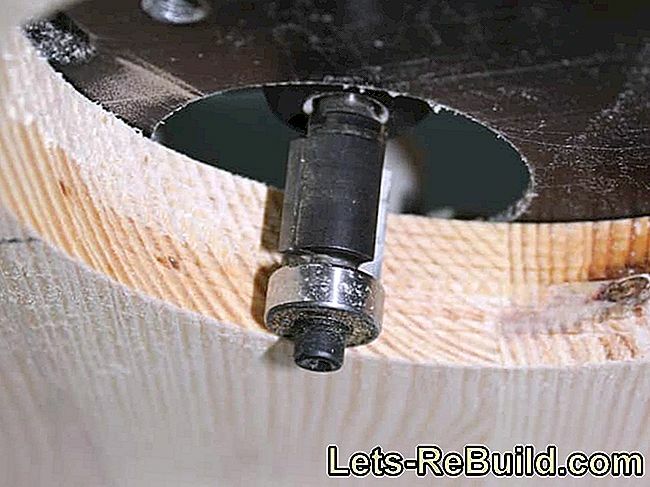 Tweeters usually only need a small opening, which can be easily made with a hole saw. 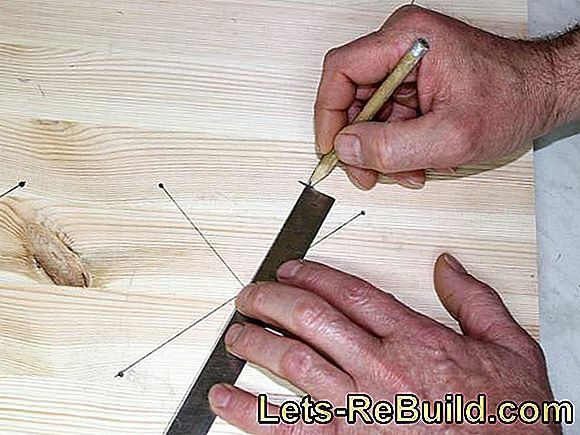 The hole will be cleaner if you drill about halfway from both sides. 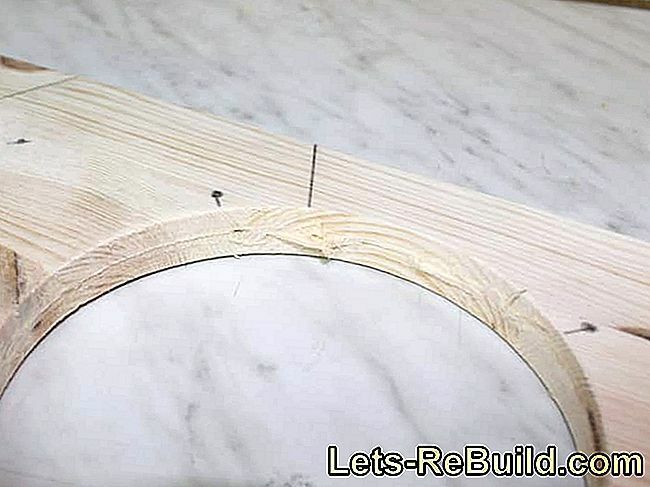 Thus, the wood does not burst when the hole saw emerges and the sawed-off disc is easier to remove from the hole saw. The same applies to the milling of the larger speakers. Again, it is It makes sense to mill only up to half the board thickness and then turn the board over. 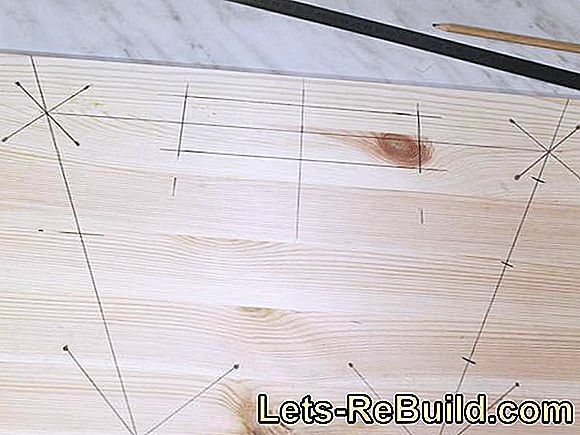 So the board can also be edited directly on the workbench, because the router does not exit on the other side. 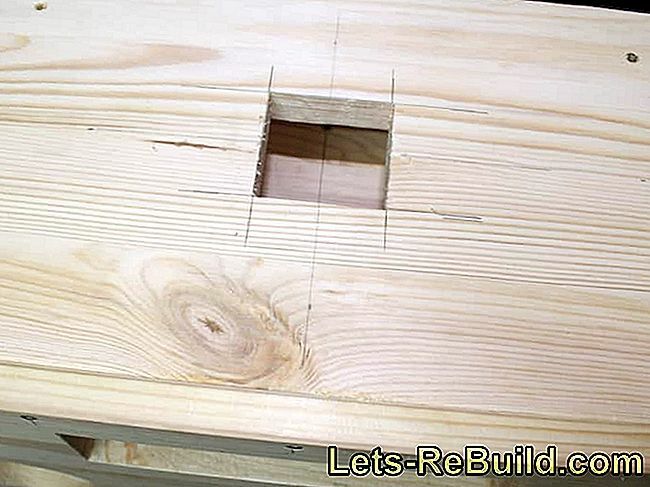 Small holes can be cut out with the hole saw. 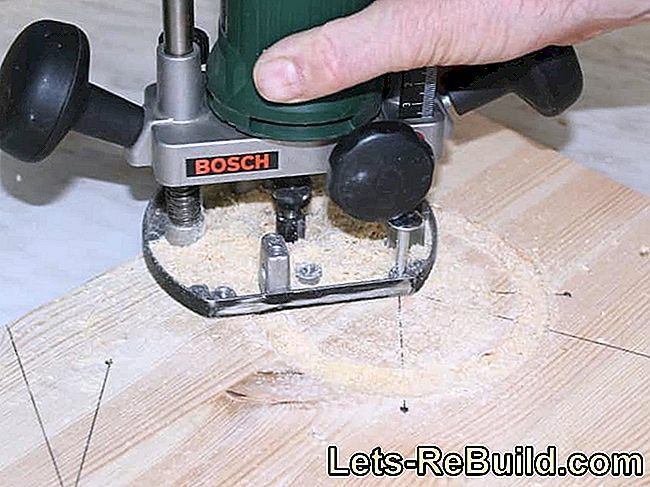 For larger holes, a router is needed. Becomes the cutout is milled out from both sides and rips off at the last delivery, a ridge stops at the rupture edge, which is then removed with the trimming cutter. A flush cutter has a ball bearing, which is guided along the edge. The cutter above it has the same diameter as the ball bearing and thus adapts the remaining milling surface to the dimension of the bearing surface of the bearing. If the machining is done from both sides, the result is an exact angled and straight cutting edge. The cut leaves a ridge at the breaking edge. This is removed with the trimming cutter. The section of the car radio done by jigsaw, For this purpose, a hole is drilled in the corners to be able to dive with the jigsaw blade. 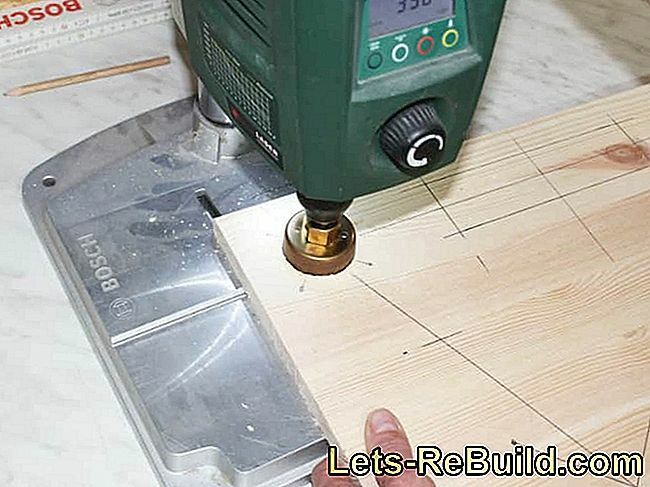 The exact dimension of the cutting depends on the dimensions of the radio. But it can also be used a DIN mounting frame, as it finds application in the car. The cutout is then 180 x 50 mm. The radio itself is often 1 - 2 mm smaller. As a trial, the radio and speakers can be inserted and connected. However, do not be influenced by the sound produced. 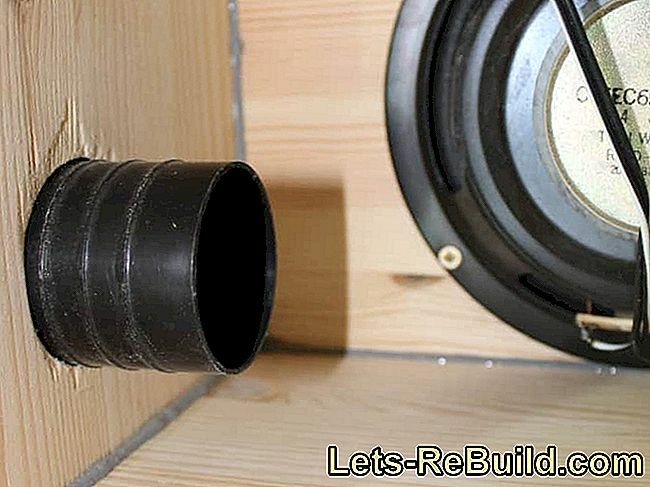 Without a housing, our self-made speaker hardly delivers any bass and sounds a bit tinny. The hole for the radio is cut out with the jigsaw. The first trial use of the speakers. 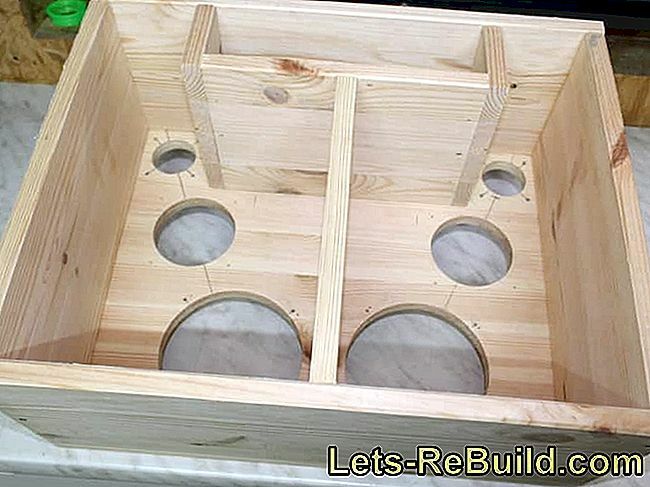 If the front is ready and the speakers have been removed, you can be started with the assembly of the housing. 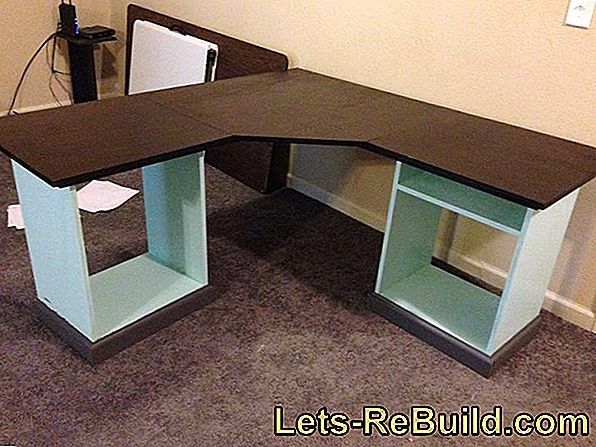 First, the frame is glued to the front and screwed. 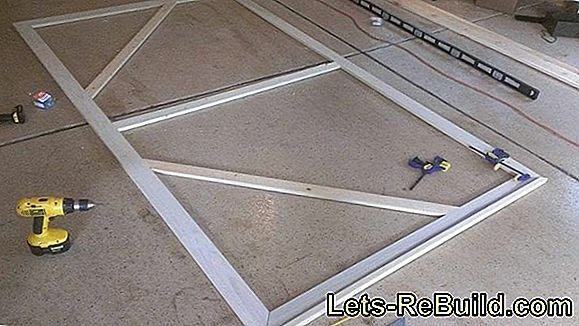 Whether this starts with the frame or the side panels are connected one after the other with the front, can be decided individually. 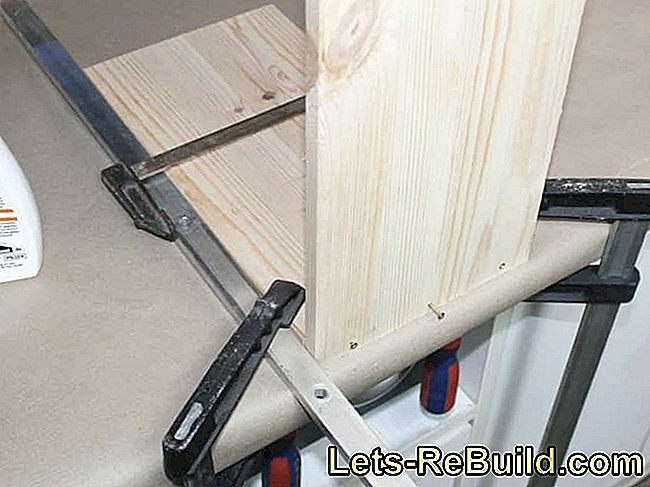 However, it is always helpful secure a board to the workbench and use a side rail (aluminum rail) as an aid. 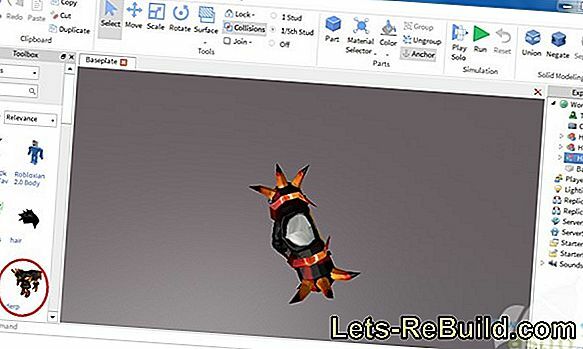 So the edges are flush and the rework is minimized. 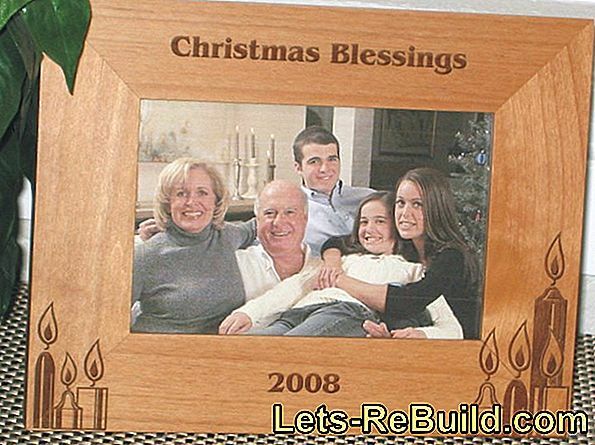 The frame is finished glued and screwed. The front is put on. So that the air vibrations of the two bass speakers do not affect each other, is the space in the box is divided by a divider board. In addition, the radio must be excluded, since this needs to heat dissipation air openings. Let's start with radio first. 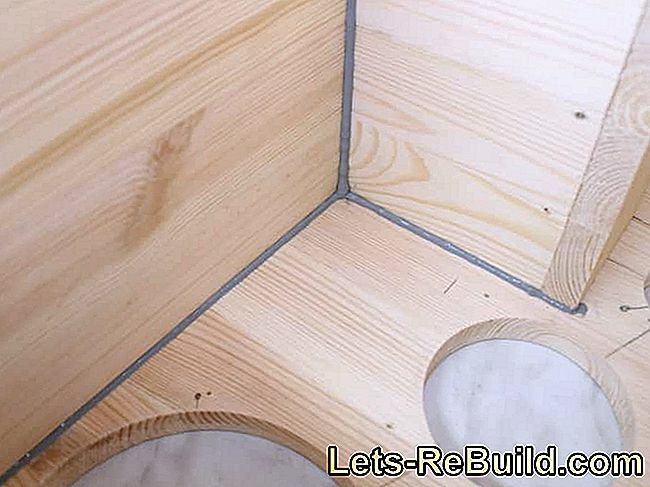 The given dimension of the small side parts must be adjusted individually. They must be so long that the larger horizontal board is exactly at the opening for radio installation. This is necessary to be able to store and fix the later built-in radio on it. This avoids it rattling. 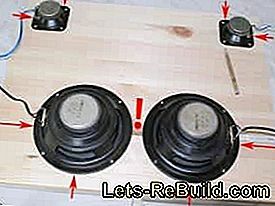 Subsequently will the divider board inserted between the speakers and glued. On a screw connection can be omitted, since in addition all joints must be sealed with silicone. This provides additional support. 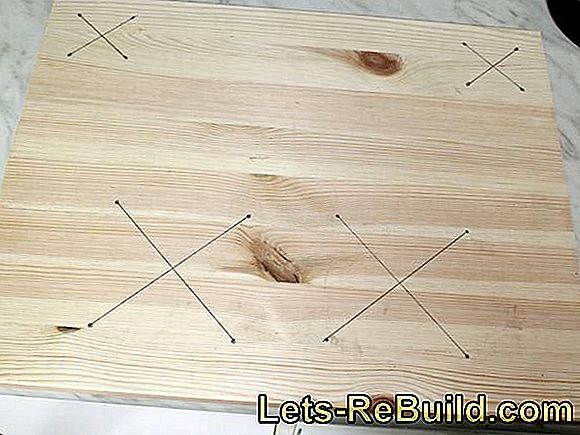 Some creativity is required for this step so we want to give up on specifications. However, it is important that the car radio receives a ventilation, otherwise it can overheat. Whether the ventilation is active or passive depends on the size of the ventilation holes and the given possibilities. Can be used computer fans, fan grilles, speaker grilles, perforated plates... What is currently in stock. An active ventilation by means of computer fan has the advantage that the ventilation holes do not have to be so large and can be covered with a suitable ventilation grille. The fan (12 V) can be connected directly to the mass of the car radio and the connection for an automatic antenna. So he only turns on when the car radio is used. 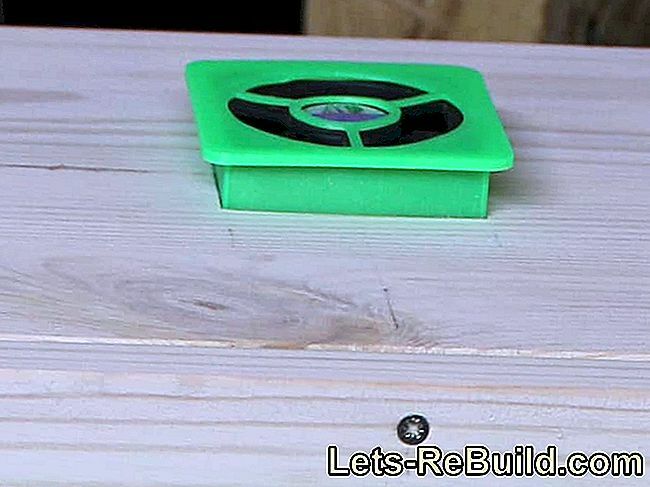 If no active fans are used, should the ventilation opening generously designed become. For this purpose, even the entire area could be sawn over the radio and then covered with a grid or a perforated plate. We opted for active cooling by means of computer fans decided, since this was available and the effort to install limits. However, this always requires two holes, which are at best arranged diagonally to each other in order to guide the air flow as far as possible past the radio. If the radio has a visible heat sink, the air extraction can be placed right here. If, as in the example, old speaker speakers are used, they are already properly connected to the crossover and the input only needs to be connected to the car radio. Has this ISO connectors, so open ISO connector can be used. They offer the advantage of being them compatible with many car radios and the radio can also be exchanged quickly. The required pin assignment is usually marked on the car radio, but also standardized and found on the Internet. The radio itself is fixed with some silicone. This is certainly not the technically perfect solution, but provides sufficient support and prevents rattling of the radio. Important is when fixing the crossover and the cable laying, that nothing loosely lies around. Rubber pads are therefore an advantage for the crossover. 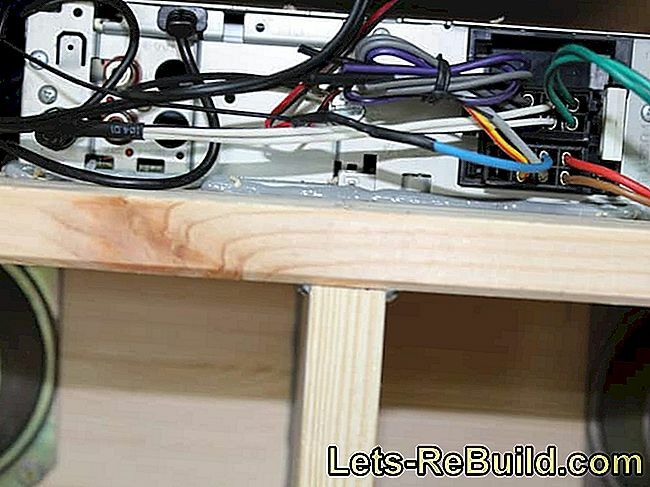 The cables can be secured with cable ties. The cable is laid through small holes in the partitions, which are then sealed with silicone. The power supply, the fan and the external antenna must also not be forgotten. 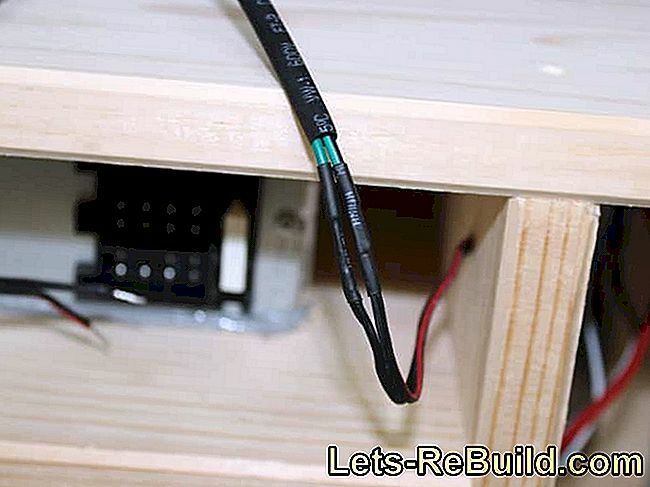 Even though it is only a voltage of 12 V, should someone take care of the connections, which has experience. Therefore, we do not want to go into more detail here. One last time a function test takes place and the speaker can be closed. This can be tested simultaneously, whether bass reflex ports can improve the sound. For this purpose, let music run, hold the back wall against the case and "ventilate" it a bit at times. You will notice a difference in sound. This is not a professional method, but we also build no HiFi, but a small party box. With bass reflex opening, the bass is usually somewhat amplified and richer. For bass reflex ports, there is a special bass reflex tube, so that the openings are not just holes, but stick as pipes in the sound body. 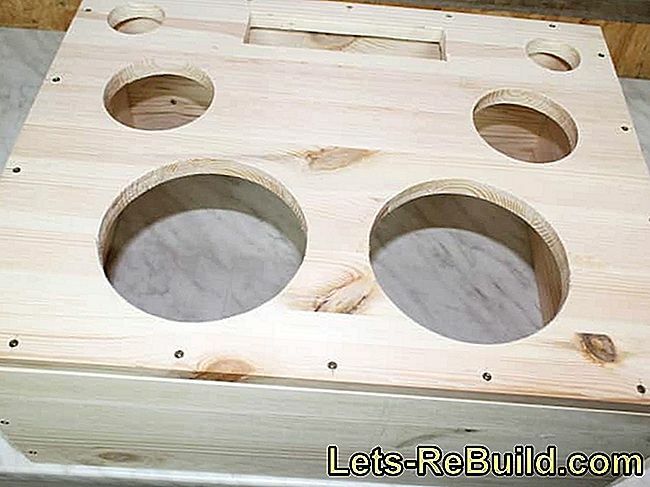 The holes for this are set with a hole saw in the side walls. Was not forgotten the second vent hole behind the radio. Can the rear wall be put on now? 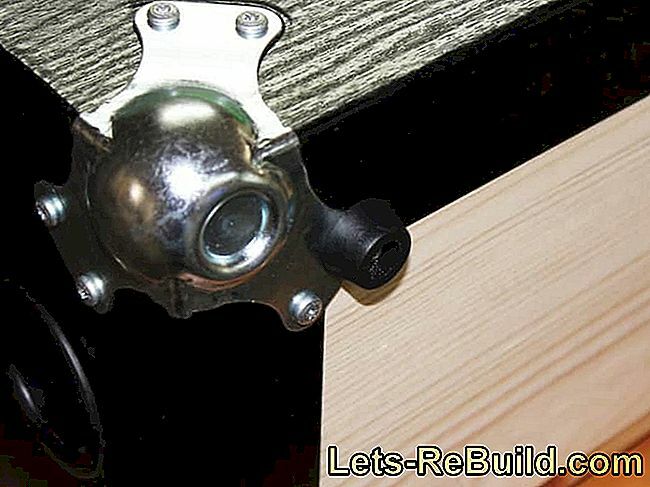 The use of many screws ensures a good support and seals the contact surface. In addition, a silicone track can be applied to all frame parts prior to fitting the back panel. Of course, it should be thought beforehand how the party box should look like later. 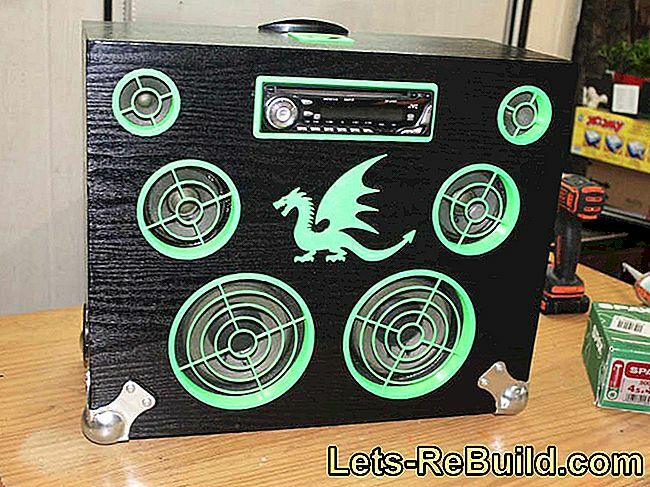 If only one coat of paint is used, it is advisable to paint the edges of the speaker openings before installing the speakers. Since we provide our speaker box with adhesive film and the cut edges of the speaker openings are covered with self-printed grids, nothing had to be prepared and the application of the film can be done at the very end. We opted for black, because we want to set color accents with green speaker grids. Also the car radio receives on this way a new frame and a small kite becomes the eye-catcher. The advantage here is, of course, who has a 3D printer available. A good contrast and protection form protective corners made of metal. This makes our party box really robust and professional. Although these ball corners form feet at the same time, rubber pads are still the better choice. We therefore combine both. So we achieve a good look and a perfect state. 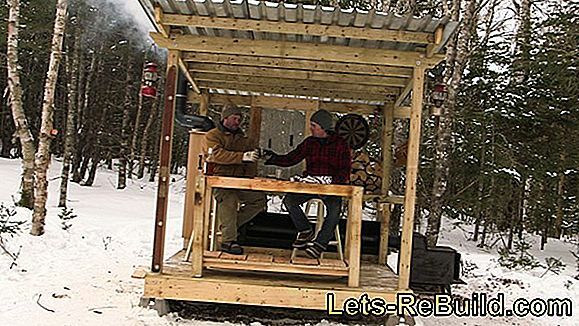 ➤ current tent comparison 2018 on lets-rebuild.com. 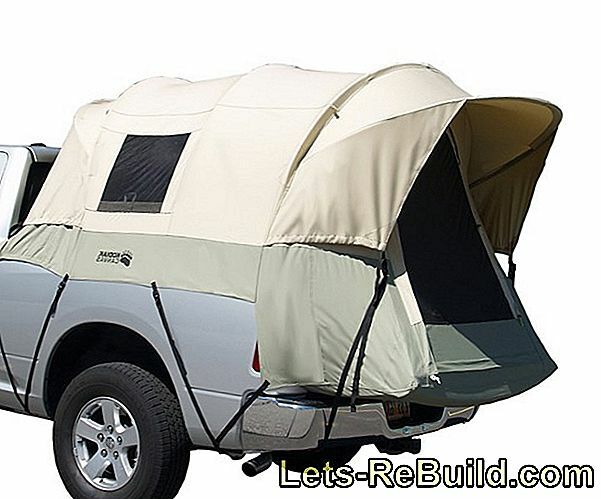 Compare now and order the best tent! 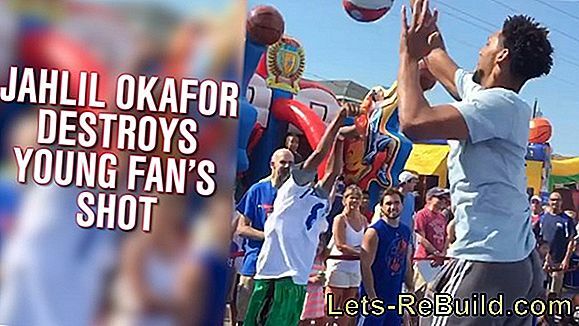 Even after new year's eve, the rockets may pop: however, it must be requested a special permit. We explain where to get them. 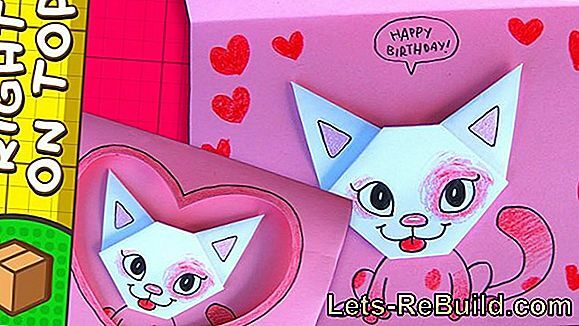 Make valentine cards yourself: free craft instructions and print templates for valentine cards made of different materials. How to make lanterns with spring motifs. 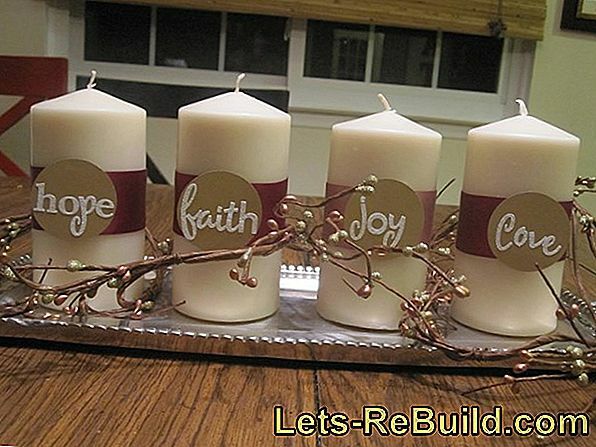 Instructions for engraving glass lanterns and ideas for self-made tealights. 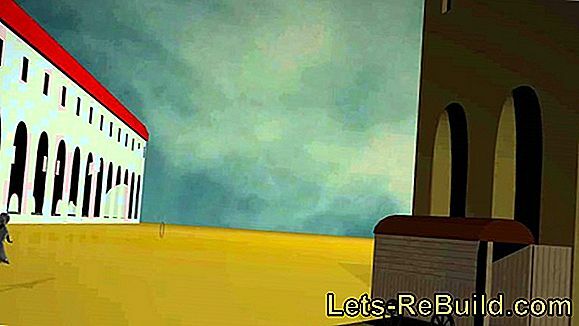 ➤ current sandbox comparison 2018 on lets-rebuild.com. 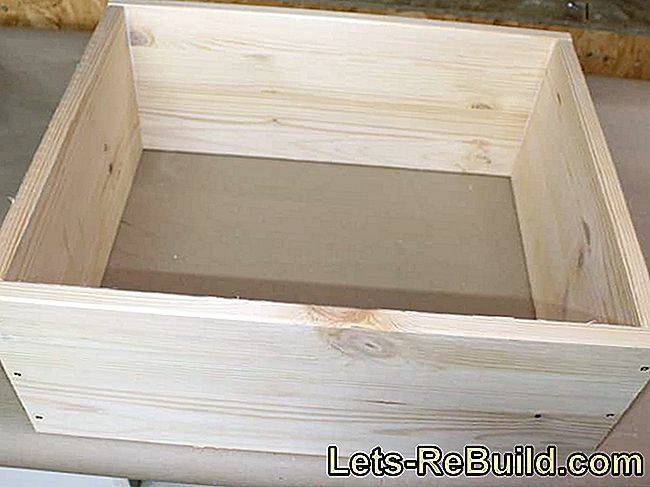 Compare now and order top sandbox at a low price! Whether awning, parasol or stand: in this link collection we have compiled various instructions for sunshades and umbrellas. Build cribs and nativity figures yourself: here you will find building instructions for christmas cribs and figures made of wood, paper, plaster and pine cones.